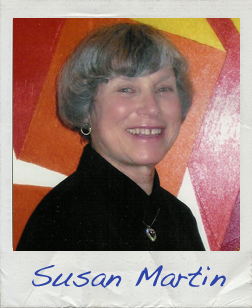 Susan Martin took delight in her 32-year career as a high school English and creative writing teacher. Now she takes delight in having passed the torch to her young successors and giving them the opportunity to “teach the torches to burn bright.” When she is not reading or writing, she and husband Frank take advantage of the many opportunities for enjoyable retirement at the New Jersey shore and nearby New York City. An inveterate beach bum, she is at the shore and in the ocean almost every summer day. She is a member of the Jersey Shore Poets. See them on Facebook. Read the first page of Susan’s story!